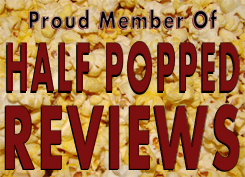 A little bit ago, I reviewed a movie called The Other Woman. It was about these ladies taking revenge on this cheating, womanizing man. The plot alone sounded remarkably similar to John Tucker Must Die, but I could tell right away that the main difference between the film was flow and direction. The Other Woman took way too long to get to the point because it wanted to focus on character introductions, developments, and interactions before it got to the primary and secondary plots…now character development isn’t really bad, but a movie like this requires the plot to get to the point and quick. For an example of how to do it right, we turn now to the plot of John Tucker Must Die. Taking place in high school, we have John Tucker, who is basically the hottie with a body in the entire school. This whole film bases itself on the idea that popularity transforms peoples minds on who you are and because you are cool…the stupid things you do are also cool. So when he cheats on three girls, they decide to take out revenge on him…but their attempts just make him look cooler. They decide the only way to get back at him is to break his heart. Their method? Transform a neutral student into the girl of his dreams, and then rip his heart out from inside him when the time is right. This is where they did absolutely everything right in terms of flow and direction. They introduced the girls and the plot right away. The character development was introduced throughout the film like it should have been…it just felt so natural, and believe it or not, it wasn’t as predictable as you might think it is. There are elements here and there which you’re like…okay yeah that’s obvious, but the rest of it and how things will turn out for John Tucker…isn’t as easy to predict. I also really liked the inclusion of a skewed, over-exaggerated look on popularity. There’s no way that one popular guy in school could get the whole male student body to wear women’s thongs because he did…but because they did things like that in the movie, it was able to make fun of itself and somehow make light of a serious problem that teens are forced to accept every day. Popularity shouldn’t be the deciding factor for everything…and it often is…people just end up acting stupid and they end up regretting things they could easily avoid. Is this the best movie in the world? Not by a landslide. But there are things about the movie that feel unique and original to itself and that’s never a bad thing. The overall tone is a bit childish and ultimately dumb, but in my opinion, it’s a kind of dumb that you can sit back and enjoy just because. John Tucker Must Die has a level of humor that at least makes the film feel like it stands alone among other movies like it. It also does a pretty good job at progressing the story and making its point crystal clear. I’m not sure many people really care about the movie because it doesn’t make a substantial impact on the audience. It’s childish and dumb, and the laughs it does give are only temporary. In the end, the movie will end up collecting dust on your shelf. Director Betty Thomas referred to all the actors by their characters’ names, since, she claims, she couldn’t remember their real names, and she wanted to think of them as their character. When she forgot their characters’ names, she’d simply refer to them as “person”.